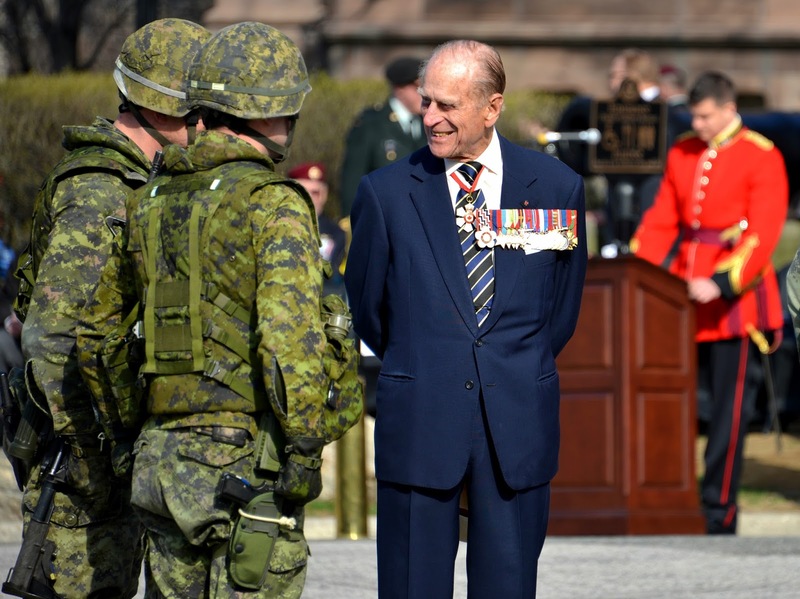 The Duke of Edinburgh as colonel in chief of the Canadian Royal Regiment. Prince Philip will turn 96 this June and has decided to step down from royal duties. He has the Queen’s support for this, a statement from Buckingham Palace revealed. "I'm sorry to hear you're standing down", one man told him at a royal lunch on Thursday. "Well, I can't stand up much," the duke quipped. The duke will attend all engagements slated for him until August but will no longer accept any invitation afterwards. Meanwhile, Her Majesty the Queen "will continue to carry out a full program of official engagements", a statement from Buckingham Palace said. British tabloid The Sun, however, mistakenly published an unfinished obituary of Prince Philip on its website for a few minutes Thursday morning. The headline read: “Prince Philip dead at 95, how did the Duke of Edinburgh die, etc etc.” In fact, all seems to be well in Buckingham Palace, and New York Times noted “palace gardeners could be seen jovially going about their chores.” The Queen and Prince Philip had also busied themselves with a round of engagements on Wednesday. If someone in the Royal Family had died, the palace would have been in a remarkably stoic mood. Prince Philip has been one of the most dedicated members of the British Royal Family, perhaps, the strongest support to Queen Elizabeth II. He made a total of 22,191 solo engagements and 637 solo overseas visits, gave 5,493 speeches, supported 785 organizations, presented 54 colours, received 32 service appointments, and authored 14 books (Telegraph). The retirement of the Duke of Edinburgh ushers in a new era for the Royal family, as younger members of the Royal Family are slated to take on more active role. The Prince’s children, the Earl of Wessex and the Princess Royal, already busy as ever, will accept workload in the coming years to make up for the Duke of Edinburgh’s retirement (Royal Central). More importantly, The Prince of Wales and Duke of Cambridge, will have to be busier this time, being the first and second in line to the throne, respectively. Did you know that you can get them ON AUTOPILOT AND ABSOLUTELY FREE by registering on You Like Hits?